IB Girls 14u All Star Softball Team Takes 2nd Place at Lakeside Tournament! 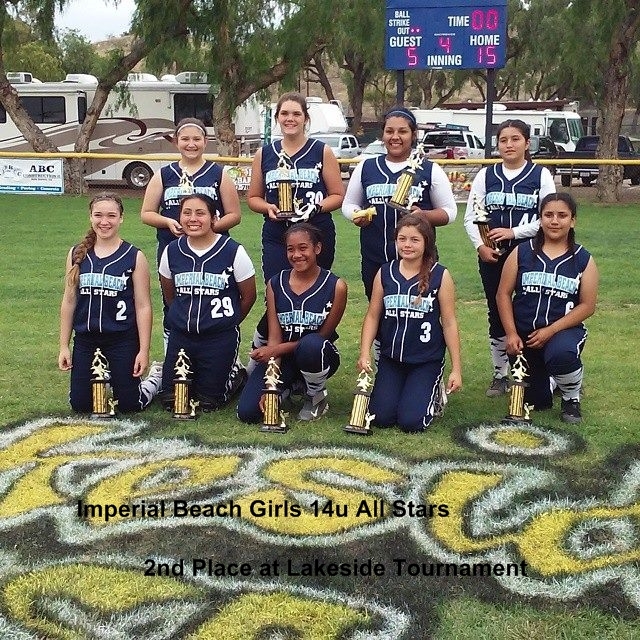 Congratulation goes out to the Imperial Beach 14u Girls Softball All Star Team for taking 2nd place in the Lakeside Tournament. The Lakeside Tournament started on May 21st. It was a double elimination tournament. There were a couple of days were the girls were required to play 2 games in a day.